Williams had lost the final 6-2, 6-4 to Japan's Naomi Osaka but the game made the headlines for her allegation that Ramos treated her differently than he would a male player. Serena Williams argues with referee Brian Earley during her Women's Singles finals match. Tennis star and legend Serena Williams has been fined a total of $17,000 for three code violations during a controversy-marred US Open 2018 final on September 8. The figure is a sum of $10,000 for 'verbal abuse' of the chair umpire Carlos Ramos, $4,000 for a warning of coaching and $3,000 for angrily breaking her racket. 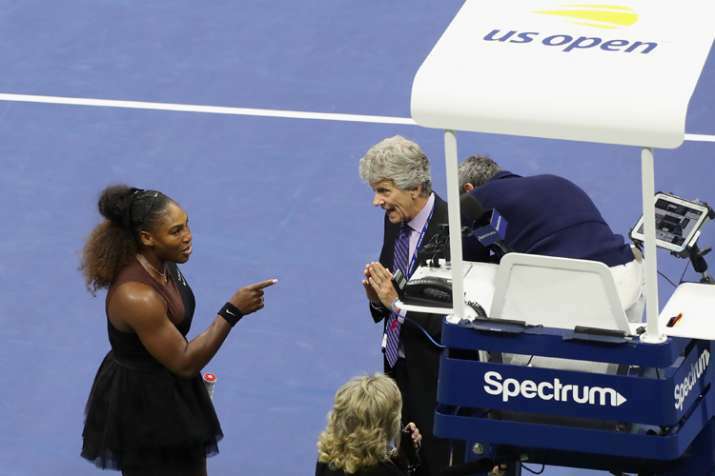 Earlier, as Williams pleaded her case on the court with tournament referee Brian Earley, calling the penalties unfair, she said: "Because you're a woman, you're going to take this away from me?" "There's a lot of men out here that have said a lot of things," Williams said, "and because they are men, that doesn't happen." The fine is nothing compared to the $1.85 million she earned as the prize money at the tournament but what the incident shows is that the US star is a flagbearer for women empowerment and the fight against sexism in an unfair world.